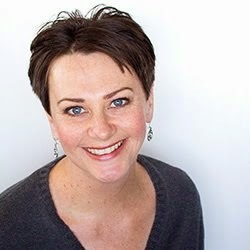 I've been trying out the auto-immune protocol (AIP) diet (click here for more information) and part of it includes nourishing the body with as many nutrients as possible. One way to do that is to include bone broth (click here for more information). It is extremely nutritious and helps heal a compromised gut, which is the aim of the AIP. 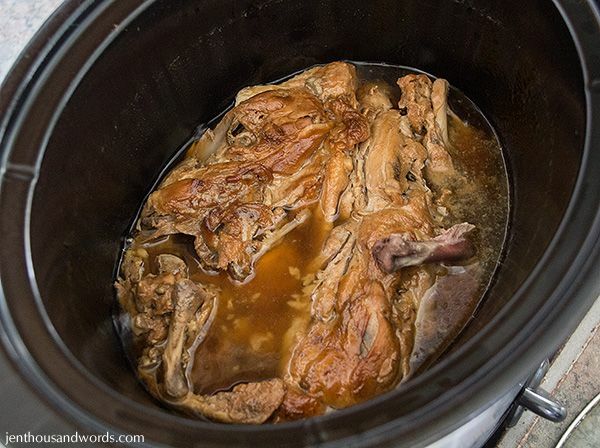 I start off with my slow cooker and a couple of chicken frames. The frames are the part of the chicken that is left after the butcher has removed the wings, legs, thighs, and breasts for sale. I buy them in bags of 4 for $1 at Countdown (local supermarket). I generally start my broth with two frames and freeze the other two. Sometimes I buy a rotisserie chicken and once we have picked what we want off it, I throw the frame into the crockpot to start the broth. 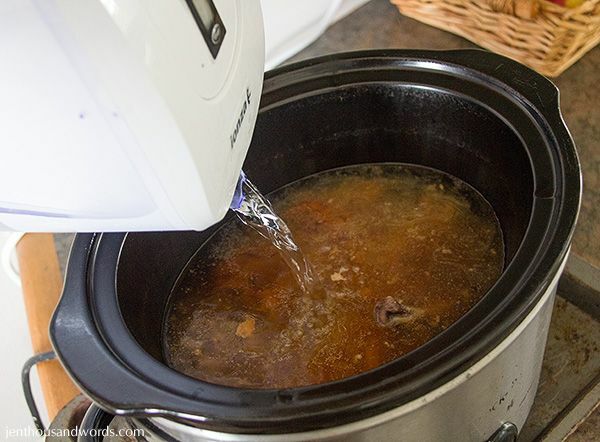 So the chicken bones are in the crockpot - then I fill the crockpot up with filtered water and set it cooking on low. I leave it simmering all week long, adding bones as they come along (for instance the bone from a roast pork joint that we might have had for dinner.) You can also throw vege scraps in, or add herbs. I use the broth as needed and top up as needed. As the broth cooks it will reduce, even with the lid on the crockpot. Simply top up with filtered water. The broth is amazing in gravies, soups, and stews or when sweating down onions, etc. And so good for you! You can also drink it - it tastes better with a bit of salt added. At the end of the week I freeze whatever broth is left (to use in soups or whenever a recipe calls for stock) and discard the bones before starting a fresh batch. After cooking for a week, the evidence is in the bones. 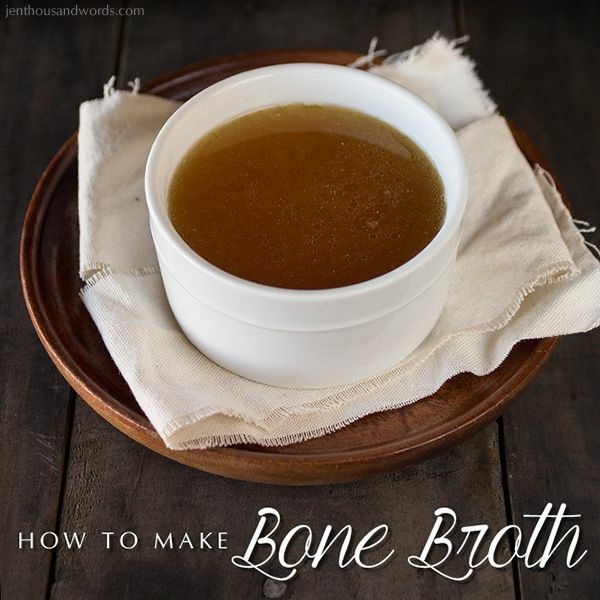 All of the nutrients and minerals have leached out into the broth, leaving the bones soft and crumbly. Here's a little video clip I made showing how soft they are.